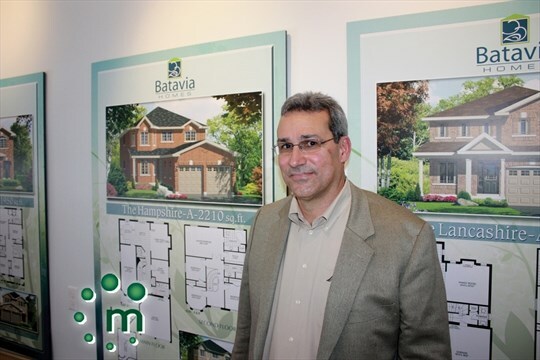 COURTICE - Municipal planning processes are holding up the development of two new subdivisions in Courtice. Delpark Homes has hopes to build detached homes on the west side of Prestonvale Road, south of Bloor Street. The developer also has property off Courtice Road north of Bloor Street where it would like to build a mix of detached, semis and stacked townhomes. Between the two sites, there would be 400 new units. 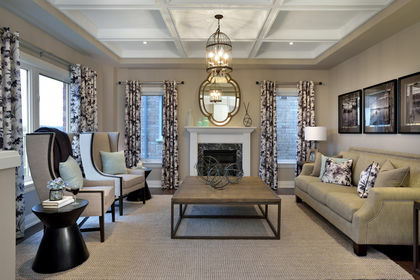 Delpark has constructed 260 homes in Bowmanville’s Northglen community near Reg. Rd. 57 and a second site nearby called Crosswinds saw people lining up overnight in the rain for the chance to scoop up one of the 60 lots available earlier this summer. “It shows there’s a need. If there were more properties available, people wouldn’t have to lose sleep, lining up to get their family into a new home,” said Mark DiGiovanni, the development manager for Delpark Homes. Even if Delpark Homes was given the go-ahead today, the homes wouldn’t be built for at least a couple of years. Draft proposals would need to be submitted and reviewed and then lands would need to be readied for construction before the homes are built. Mr. DiGiovanni said the timeline the Municipality has given Delpark Homes is that draft proposals could be submitted in five or six years from now. “Every developer wants their project fast-forwarded. We have to look at the best interests of the Municipality and residents so that growth is managed wisely,” said Clarington’s director of planning services, David Crome. Mr. Crome said he doesn’t believe there is a housing shortage in the town. Both Courtice sites that Delpark Homes wants to develop come with their own set of problems. Mr. Crome said the Prestonvale Road site needs a sub-watershed plan prior to an application for a plan of subdivision. “This has not been undertaken,” he explained. Mr. DiGiovanni has suggested to planning services that Delpark Homes build 80 homes as soon as possible on this site. He claims those homes could be serviceable now using sanitary sewers linking to the Harmony Road water treatment plant. “Just allow us to move forward with the 80 units as a compromise and then we’ll go ahead with the other 40 properties there when we can,” he said. Mr. Crome said it’s just not that simple. He went on to add that the southern portion of the neighbourhood would require an additional 2.5 hectares of parkland and it would require co-operation with other land owners. As far as the Courtice Road site goes, Mr. DiGiovanni said the area is already designated residential but it is being held up by the need for a sub-watershed study. He said there is an issue with drainage and a storm water facility would be necessary. Delpark Homes is willing to participate in a sub-watershed study and pay the total costs of creating its own temporary solution for storm water. Mr. Crome disregarded that idea. That trunk sewer is anticipated to be in the 2018 Regional budget and completed in 2019/2020. 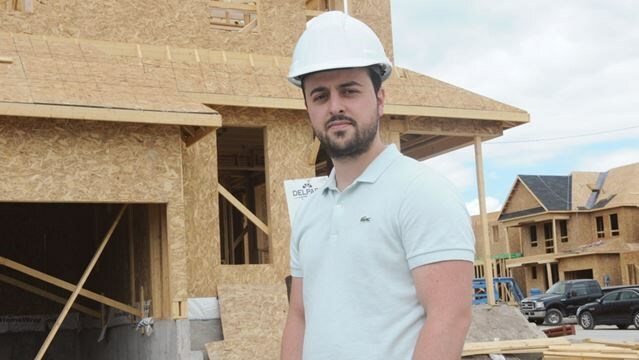 Mr. DiGiovanni said Delpark Homes would even be willing to shoulder other costs, including sidewalks and streetlights for both sites (which run about $200 a metre of frontage), if Clarington gives them the green light. 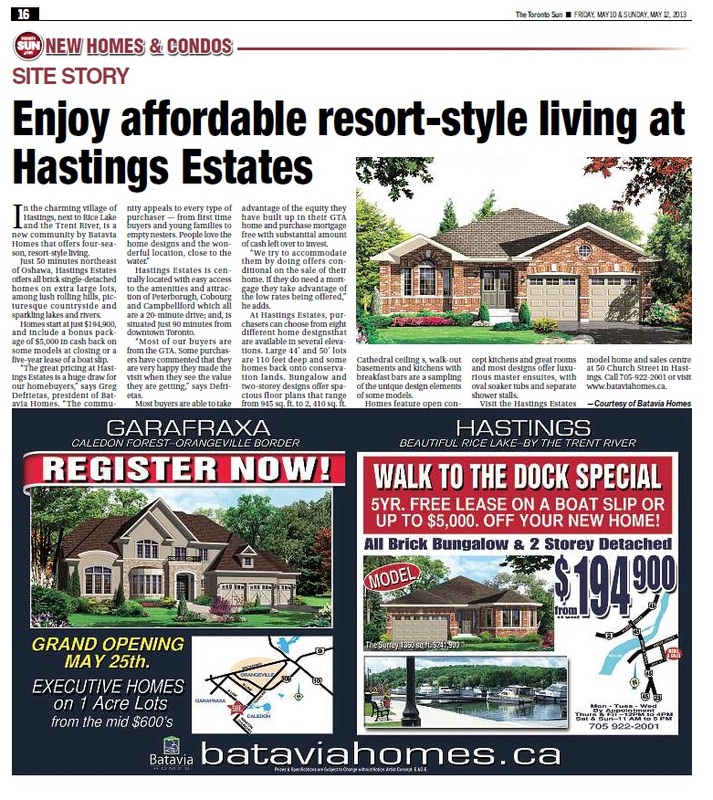 The real estate market has been red hot over the last couple of years in Clarington. Mr. DiGiovanni and his realtor, Steve Hennessey from Right At Home Realty, believe prices could level out if more land is opened up for development and competition. “I do watch the numbers and the numbers are crazy,” said Mr. Hennessey, referring to the rising resale house prices in the town.